Once again, Ultra4 Racing will be returning to Bedford, KY to Dirty Turtle Off Road Park as part of the 2019 4WP Eastern Series! Expect to see no holds barred racing from all classes as the season is well on its way at this point in the year! It is also a chance for 4400 drivers to qualify for the 2020 King of the Hammers. If you’ve always wanted to see ULTRA4 Racing up close and personal, this is your chance. 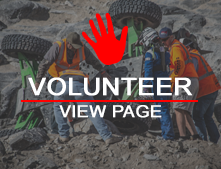 The Dirty Turtle Off Road Park provides some great views from the short course and even some opportunities to get into the woods and get a closer look at some of the best Ultra4 drivers as they take on some of the park's gnarliest obstacles! The battle at Dirty Turtle will be the season finale for the 2019 4WP Eastern Series. Stay tuned for spectator info coming soon! We're heading back to Bedford, KY in 2019 to once again take on the distinct challenges and excitement offered at Dirty Turtle Off Road Park!